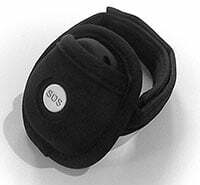 “Wow!”Our much loved Stray Star GPS Tracker is perfect for elderly use. The unique device offers peace of mind & reassurance for family or carers, giving instant Google Map locations texts and a range of alerts. Its also waterproof and tamperproof – and a doddle to set up. You’ll also benefit from excellent aftercare, firmware updates and our super-thorough online help portal packed with help & tips. Buy Today for £148.99 with a free pre-installed SIM and UK Tracked Delivery. Eligible for VAT Relief (a declaration of long term chronic illness or disability, including dementia, Alzheimer’s & stroke can be made at checkout). 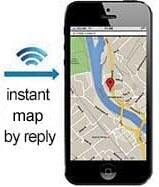 Our GPS Tracker for elderly use is terrific, giving instant map links by text. Waterproof, tamperproof, cheap to run. 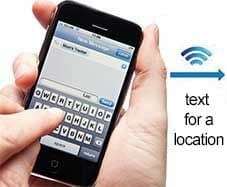 Receive a text if the elderly person wanders too far. At the shopping cart stage, you can choose to add a free pre-installed SIM to your Stray Star GPS Elderly Tracker order. If you wish to use your own SIM – for example you have a different stronger network for a rural area, or you have a SIM lying around with credit that you want to use – then you can install your own. Full instructions are given on how to install your own SIM. The elderly Tracker is not locked to any particular network, and we only pre-install SIMs to make life easier. 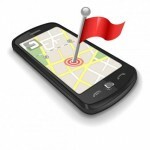 Texts and calls to the GPS Elderly Tracker will be included in your own mobile’s standard text/call rates. Hibernation Mode (up to 30 days): The elderly Tracker’s GPS and mobile phone network will be disabled, until any motion is detected. Then, it will wake up for a set amount of time – e.g. 20 minutes or an hour. If it keeps moving, it will stay awake, but after the time window, if its stationary again then it will hibernate. This means that overnight for example, the GPS dementia Tracker will be stationary and not use any unnecessary power, until it moves again in the morning. If it remains stationary all the time, then it can remain sensitive to motion (whereupon it can then activate and send a text message) for up to 30 days (this is only really useful for asset protection – locating stolen equipment, camera bags or cars for example). Anyone with the elderly Tracker’s unique phone number can make a location request – your phone number doesn’t need to be programmed into the device beforehand. This makes it very easy to get started – and very simple to share access with other family members. 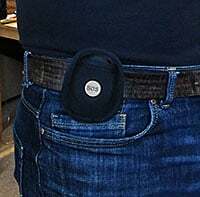 One of the main concerns for customers is whether the person at risk of wandering will be willing to wear or carry it. Fortunately, the Stray Star GPS Elderly Tracker comes with plenty of options. A problem with other GPS elderly Trackers is that they can be switched off accidentally! That won’t happen with the Stray Star Elderly Tracker – because you have to press the power button and SOS button together to power-down the device. You’ll then receive your GPS Elderly Tracker via Signed For mail. We do our best to dispatch orders as soon as possible, often they arrive the next day. However, this elderly tracker is a 2G device only, and therefore will not work on some networks in Canada, Australia, NZ or the US. These countries are pushing heavily towards 3G devices. 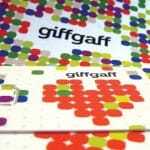 Fortunately, we have a 3G version of this device now available – click here for details. The Stray Star GPS Elderly Tracker can tell you when someone strays too far – and also exactly where they are. It’s useful for all sorts of situations – knowing if a vulnerable wanderer leaves their street or area, if your child leaves school, or even if someone enters an unwanted area. With a simple text command, you set a radius from wherever the tracker happens to be when the function is set (e.g. at the person’s home). If the elderly Tracker then strays beyond that set limit, then an alert warning text is sent to the three alert phone numbers. Note: We recommend a minimum of 50 meters for geofences. This is because overnight when the tracker is indoors, the signal accuracy can reduce as satellites go out of and into view again. This can cause false alarms unless the geofence is big enough. Geo-fencing can’t be used to know if someone has walked through their front door for example. However, in good conditions or when outdoors, the GPS accuracy is within a meter – and this GPS elderly Tracker is particularly accurate with an incredibly strong signal. 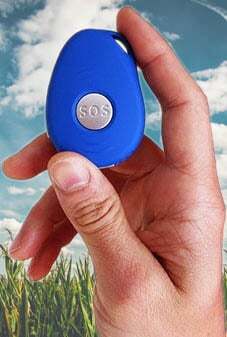 When the SOS button on the Stray Star GPS Elderly Tracker is pressed, it will send an SOS alert text with location information to the phone numbers which have been pre-set by text message (up to three numbers which can also be landlines. These are set, and can be changed any time, by sending a text message to the Stray Star GPS Elderly Tracker). An elderly person with dementia or Alzheimer’s may not be capable or inclined to use this function – if that’s the case then the SOS button can be disabled on the elderly tracker without losing other alert functionality (e.g. geofence, fall or low battery alerts). The elderly Tracker can also work as a fall detector. If the wearer is at risk of falling (e.g. elderly or at risk of stroke), then this function will be essential. It can be set with a varying level of sensitivity to detect a fall. 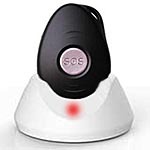 If the elderly tracker detects an impact, it will beep for ten seconds, during which the wearer can cancel the alarm with a button press (to prevent false-alarms). If they don’t cancel the alarm, then after the ten second warning period an alert text will be sent to up to three different people. The button on the side of the Stray Star GPS Elderly Tracker can be programmed to call a specific number when pressed – or, the number can be left blank if you want to prevent this (a person with dementia, Alzheimer’s or elderly may not be capable nor inclined to use this optional function). 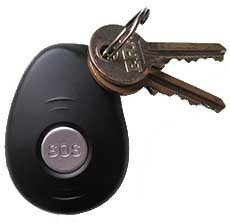 This allows the wearer to call someone whenever necessary at the touch of a button. 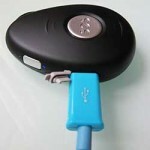 The speaker and microphone then allow two-way communication just like a mobile phone. Be aware that the volume can’t be controlled on this – a person who is hard of hearing may not be able to hear you properly unless holding the GPS Elderly Tracker closer to their ear. A function can be set via text message, that makes the GPS Elderly Tracker answer calls with only the on-board microphone enabled. 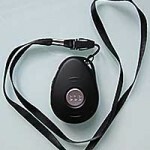 This allows the carer to listen to the surroundings, for example to check on the whereabouts of the person. When you log in, you can view the last 30 days of the GPS Elderly Tracker history. You can select by date to see the tracker’s movements. Each point on the map carries a date and time, so you can see exactly when and where it went. 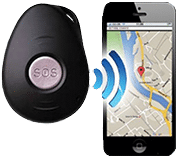 Most other GPS Elderly Tracker companies charge for online tracking – up to £30 per month subscription. We give this feature for free! So take advantage while you can. If you choose to have a free SIM pre-installed in your device, then it only costs about 10p per month for data use from your pay-as-you-go credit (this is because the data packets are very small). As the GPS Elderly Tracker uses a SIM and relies on mobile networks to make and receive texts, there may occasionally be brief periods where the network is lost (as with any mobile phone, e.g. if there is a local mast tower fault). 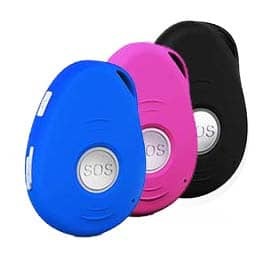 Therefore, relying on the GPS Tracker shouldn’t encourage a situation where a person would be in danger without it – it should be used as an assistive aid only for situations that can’t easily be prevented (e.g. where wandering would have occurred anyway). This Elderly Use Tracker is eligible for VAT Relief if you or the person you're buying for is chronically sick or has a long term mental or physical impairment. VAT will be temporarily added on the next Shopping Cart screen, however if you're eligible it will be removed again at Checkout. No proof is needed. This elderly Tracker is eligible for VAT Relief if you or the person you're buying for is chronically sick or has a long term mental or physical impairment. VAT will be temporarily added on the next Shopping Cart screen, however if you're eligible it will be removed again at Checkout. No proof is needed.